Nearly 600 people are currently held by Canadian immigration enforcement officials waiting to be deported, 60 for more than a year. Victor Vinnettou, who arrived Canada in 1988 with fraudulent documents, has been on immigration hold since 2004. Vinnettou’s real identity is believed to be South African anti-apartheid icon Mbuyisa Makhubu. Suffering from post traumatic stress disorder, Vinnettou has been uncooperative in revealing who he really is. He is being detained at a detention centre in Lindsay, Ont. Sixty people held in detention by Canadian immigration enforcement officials have been waiting to be deported for more than a year, the Star has learned. They are among 585 individuals currently in immigration cells as of Nov. 8, rare up-to-date figures obtained from the Canada Border Services Agency. The numbers provide a snapshot of the hundreds of men and women locked up at any one time and awaiting removal — failed refugees, migrants without legal status and former permanent residents who had their status revoked for criminal convictions. Typically, the majority will be released within days, according to border officials. But the lengthy detention of others raises questions about how long individuals should be held, particularly if they pose no threat to the public and have little prospect of a pending deportation. Two of the 60 individuals held for more than a year have been behind bars for more than five years and were highlighted in recent Star stories: Michael Mvogo, believed to be from Cameroon, has been detained for seven years. And Victor Vinnetou, from South Africa, has been held for nine years. “Too many of them are on indefinite detention . . . (and) continue to be segregated, placed in isolation, and their demands ignored,” said Syed Hussan of No One Is Illegal, a grassroots advocacy group for migrants with no full status. However, advocates argue lengthy immigration detention violates detainees’ rights and Canada, a signatory to the United Nations’ Universal Declaration of Human Rights, should abide by international law and limit such imprisonment to 90 days. Last month, the Immigration Detention Network, a grassroots advocacy group of which No One is Illegal is a member, filed an official complaint against the Canadian practice to the U.N. Office of the High Commissioner for Human Rights on behalf of Mvogo, who along with Vinnetou is being held at the Central East Correctional Centre in Lindsay. 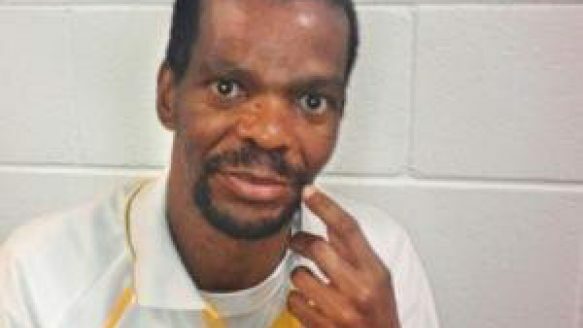 Michael Mvogo, 46, believed to be a Cameroon native, arrived in Canada in 2005 with a fraudulent American passport and has been detained until his real identity and nationality can be confirmed. Officials have yet to locate family or relatives since his latest claim to be Cameroonian. Victor Vinnetou, in his 50s, came here in 1988 under fake travel documents and has been in immigration detention since 2004. Vinnetou is now believed to be a South African anti-apartheid icon whose disappearance 37 years ago remained a mystery. According to a source, Vinnetou still lives with the trauma of apartheid and believes the white supremacist National Party remains in power, so he has not cooperated with detention reviews. His case is now being looked at by the South African government. Some detainees are locked up because officials fear, if released, they will not show up for deportation or pose a danger to the public. In some cases, individuals are detained because their identity and nationality can’t be confirmed, or their criminal record here renders the homeland reluctant to issue travel documents. In 2012, border enforcement officials detained a total of 9,571 people. While the three CBSA-run immigration holding centres — in Greater Toronto, Vancouver and Laval, Que. — held about 70 per cent of the detainees, the rest were detained in provincial correctional facilities. Pape said lengthy detention is rare as 74 per cent of detainees, which in some cases include children, are released within 48 hours. “There are a number of relevant checks and balances,” she said. For example, within 48 hours of an officer deciding to detain a person, the decision is reviewed by a colleague to ensure the reasons for detention are supported, and for authorizing release, if justified. The decision to detain is also subject to a monthly independent review by the Immigration and Refugee Board’s immigration division to release the person, set conditions for release or continue the detention, Pape explained. ← Could this man in Canadian jail be South Africa’s missing anti-apartheid icon?